I am delighted to see that an ever-increasing number of major product producers and retailers are doing more to measure and monitor the quality, safety, social and environmental impact of where and how what they sell is made. And, I am especially happy to see that more progressive brands are taking steps to share supply chain data and information with their customers. It’s a good idea, since a lot of us want to know where our stuff comes from. HOWEVER, the activities of monitoring, measuring, data reporting and the like are just a small fraction of what a commitment to social and economic justice and a desire to build a conscious brand paired with new technology can achieve in terms of the human side of supply chain transparency. Recently, I toured a host of fair trade, artisan knitting workshops with leaders from INDIGENOUS Fair Trade+Organic Fashion and EILEEN FISHER. And, I met “the supply chain” face to face. 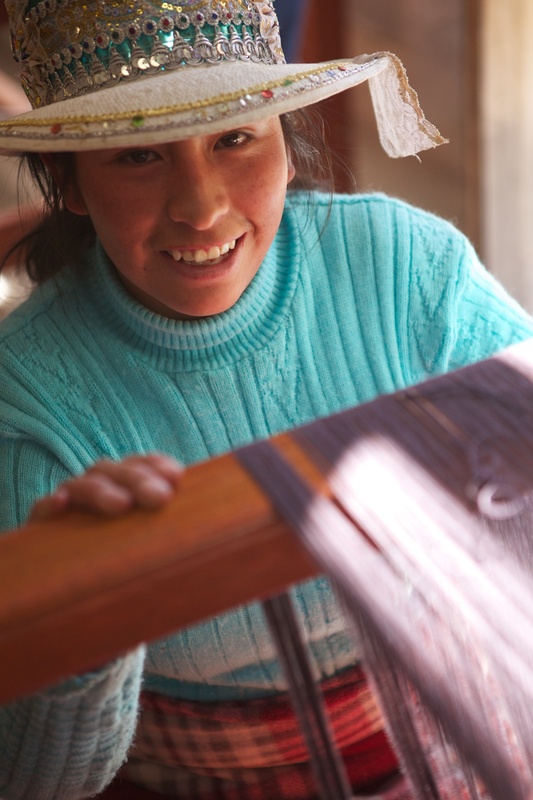 It’s 19 year old Maria, who instead of crushing rural poverty now has an opportunity for a better life…and big ideas about how to knit a better sweater. It’s 70 year old Berta, who has mentored hundreds of women and helped them transform into highly skilled artisans…and whose fabric designs are among the most sought-after by North American consumers. And, it’s countless others in between, who are not only the beneficiaries of transparent, fair trade supply chain practices…they are also actively engaged partners in improving processes, products and the value proposition of the brands for which they work. Labor Link to me embodies the human side of innovation in supply chain transparency. This is a side where we in the developed world are not doing things TO our brothers and sisters in the developing work, or even FOR them. Instead we are doing things WITH them to create the fair and just world in which we all want to live. Take the time to learn more about Labor Link. And, think about how to more deeply engage those you support as true partners in your work.Over the past year, I have had the pleasure of working with GOOD WORLD SOLUTIONS and their LABOR LINK solution, championed by Heather Franzese and Tom Raush. Labor Link uses SMS and voice technology to poll workers at the “base of the pyramid” about working conditions, measures of social and economic progress like those in the Progress Out of Poverty Index (PPI) and more. The reality is, Labor Link can be used to engage workers in just about any type of exchange…including one where they are true partners in creating a better supply chain, better goods and a better world.